GRDI2020 was a Coordinated Action funded by the GÉANT and e-Infrastructures Unit of DG CONNECT, European Commission. 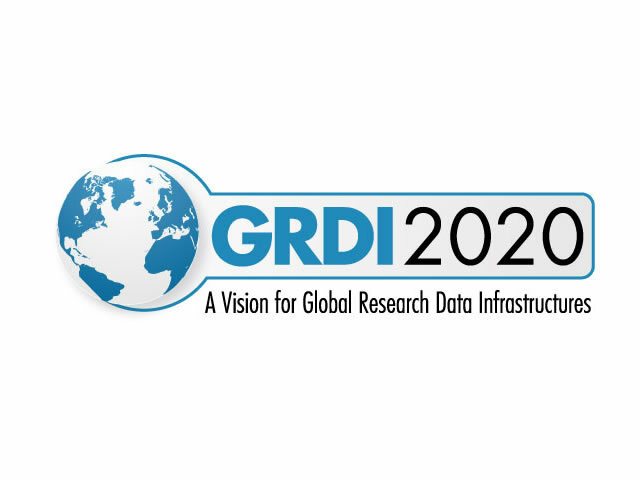 GRDI2020 produced a roadmap to facilitate the development of next-generation global data research infrastructures that are needed to support a broad set of communities for enhanced knowledge generation and to address grand global challenges more effectively. It did this by bringing together experts with a proven track record in developing complex information infrastructures. This cross-fertilisation ensured research data infrastructures bring the best of both worlds to enhance data intensive and interdisciplinary research and international co-operation. Trust-IT coordinated GRDI2020 and led all the dissemination and communication activities connecting innovators from enterprise, government and research in Europe and globally to drive technology developments in a variety of different fields, such as Data Infrastructures, Digital Libraries, and service-oriented technologies. GRDI2020 connected and engaged with current and new data research communities worldwide by providing an ecosystem for knowledge exchange through a set of targeted communication activities and a community-focused, interactive website. GRDI2020 built on international networks and value-add synergies formed through GRL2020 (Global Research Library 2020) workshops in US, Europe and Asia which served as the foundation for GRDI2020. Trust-IT also supported the production and promotion of the Riding the Wave: How Europe can gain from the rising tide of scientific data final report of the High Level Expert Group on Scientific Data, October 2010.